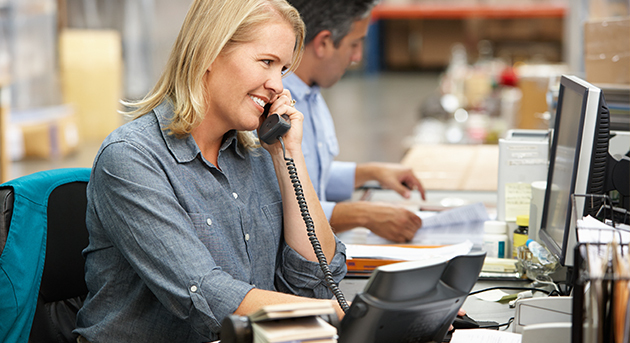 Your cable provider offers the dependability and the affordability your business needs to make voice communications an essential part of your profitability picture. From single-line solutions to high-capacity trunks, cable's got the perfect voice-and-messaging solution for your growing business. Harness the power of the protocol for high-volume voice solutions that provide your business with enormous cost flexibility - and are provisioned to grow along with you. Cable's bringing a fresh new choice to the legacy market for high-capacity business phone service. Want to get the most from your existing PBX? Let's talk. No more time to maintain your own PBX? Cable's got you covered with in-the-cloud voice solutions that are easy to implement. And even easier to afford. All the features you want, plus the reliability you need. Preservation of your existing numbers. Business features like caller ID. Plan options that include unlimited long distance. You're ready to grow. Your cable company’s ready to help. Here's how to get together. Get More For Your Business With Us. Your cable provider has your business covered with everything from high-speed, secure networking to customized video solutions. It’s fast, it’s dependable, it’s affordable and it’s always-on. Maybe that’s why millions of U.S. businesses have turned to their local cable companies to supply critical Internet connectivity that powers everything from websites to email to sophisticated ecommerce platforms. Cable’s got television in its DNA. That’s why your cable company is the right choice for providing the ideal mix of on-screen entertainment wherever you want it: In hotel rooms, in customer waiting areas, in restaurants and bars, in bank lobbies – or just about anywhere people like to watch. With tremendous throughput, do-it-all flexibility, built-in redundancy and the ability to scale like a superhero, cable’s fast-growing family of Ethernet and fiber services is taking the business world by storm. Get better results and save some serious money when you ditch the T-1s and turn to the leader in the Metro Ethernet marketplace: cable. So exactly who is CTAM? We’re a national industry organization (CTAM, that is) that helps growing businesses find the cable telecommunications providers serving their market. Can’t I just contact my cable provider directly? Of course. But if you’re not sure who to call, or you need help identifying the right company for a new market, we’re here to help. We can also make sure your call or message gets to the right people within the cable company – the agents that specialize in helping businesses like yours get connected. What’s available where: Some of the products and services described within this website may not be universally available across all areas. Ask your cable providers for detailed, up-to-date information about specific product offerings and availability. Say the word (actually, press the button) and we’ll contact the providers on your behalf and they’ll find the best solutions at the best prices for your business.